When it comes to email marketing, one of the most important indicators of success is how many people open your emails. An email that is never opened has zero impact, so it is essential to get people to start reading by whatever method possible. Even if they don’t click through or respond to your campaign, you can at least know that they looked at your content and the thought was there, at least for a moment. There are only so many strategic points for boosting your open rates. A marketer has some flexibility on their address lines, names of recipients, and email summaries, but the most important aspect is the subject line. This is the call to action that has the most influence on getting someone to open and engage with your email, which means that marketers need to leverage this opportunity as much as possible. There are many different strategies for doing so, but one that has been rising in popularity is the use of emojis. “The most important reason for using emojis in your email subject lines is the increase in open rates that have been reported. 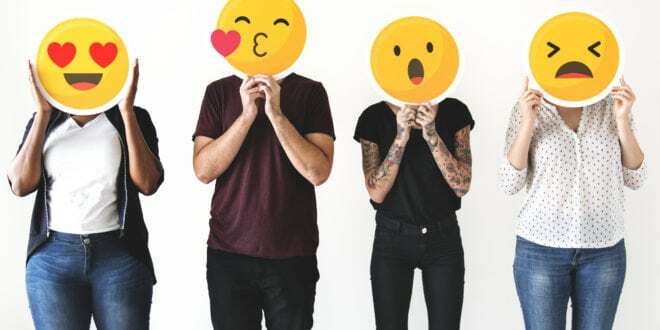 According to Experian, 56% of brands that used emojis in their emails subject lines saw a higher open rate,” reports Richard Larson, contributor to Business2Community. This is strong evidence that supports the growing trend of emoji application in subject lines. If it gets people to open your email, then it is definitely a tactic that should be considered for every campaign. The higher your open rates, the more people that engage with your content, and the better your chance for increasing sales. Why Do Emojis Boost Open Rates? It’s good enough to say that emojis boost open rates, but let’s take a look at why emojis have this effect. Emojis are capable of grabbing someone’s attention and explaining a big idea in a short amount of time. This is vital for subject lines that are created to entice people to open. This is important for boosting open rates because if you can evoke an emotional response, a reader is much more likely to make a click into your email. Ideally, this can also carry them through your content and get them to act. “Emojis can help your email stand out in the inbox. One of the reasons for the higher open rate can be how much those emojis stand out against all the text that usually fills the inbox,” Larson says. This is so important for boosting open rates because people are bombarded with emails all of the time. Anything you can do to be different will make people notice and they will be much more curious when they receive an email from you.